The Best of the TV meets the Best of the Web! 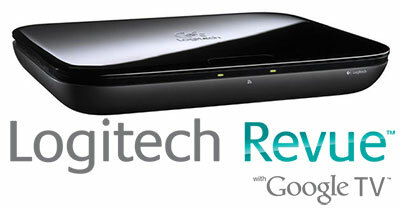 Google TV combines the power of Google search, the unlimited content of the Internet, and DISH’s award-winning technology. Find the Content You Want to Watch Instantly! Convenient, simultaneous search of thousands of program listings from your DISH program guide, DVR, DISH Cinema, and the Internet. Explore the World from Your Couch! Make live TV interactive! With Google TV you can access any internet content while still watching television, so you can look up information on the shows you watch, view your fantasy team’s stats, or even check emails! Watch the Web on Your TV! Google TV allows you to shift seamlessly between TV and Internet, bringing your favorite YouTube and web videos to your family’s big screen! Record and Purchase with Ease! Program your recordings and purchase On Demand videos directly from the Google TV search results. Customize your Viewing Experience with Apps! Personalize your TV with the content that means the most to you, using specially designed Android apps. And with apps like Twitter, you can effortlessly share what your are watching with your friends or family! Digital Set-up Brings Speed and Reliability! No IR blaster required to work with DISH. Just connect the Logitech Revue Companion Box and your DISH receiver to your home network. Google TV even works with wireless home networks! Complete Control at the Touch of Your Fingertips! 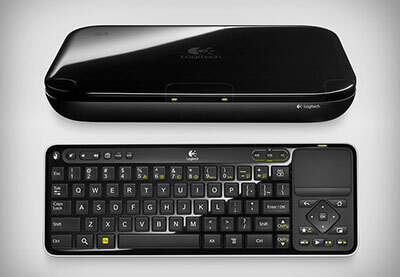 Control Google TV as well as all DISH functionality through the Logitech Revue Keyboard Controller.